Have an idea for a mascot? The first step is to send us an email or give us a quick call. In our 15 years of experience, our clients have come to us with some of the most creative and exceptional concepts you can imagine. Whatever you have in mind, we'll get back to you within 24 hours. Once we receive your idea and understand your requirements, we provide you with a preliminary drawing of what your character could look like. From there, we work with you to fine tune the look and feel of your mascot until the design is 100% what you envision. We only start once you approve the final design. Once you approve your mascot drawing, it's time to get to work! We start by constructing your character out of a premium light weight foam which allows us to capture the most detail. Sculpting commences once we've calculated all the proportions right down to the facial expression. The result is a mascot that is true to the artwork. Your character is designed and constructed to be highly durable yet comfortable. 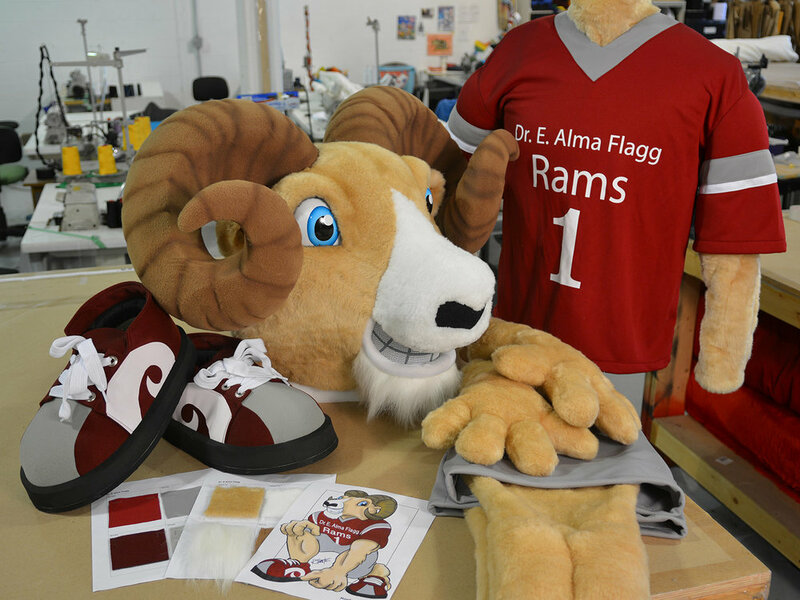 We send you photos throughout the production process, ensuring your mascot is what you envision it to be. A Maydwell Mascot is like your finest piece of clothing. Our mascots are designed and tailored to fit comfortably and look exceptional. When you get your mascot, you'll notice how the seams are expertly stitched so that they are invisible to the naked eye. With in-house, high resolution printing, we are able to brand your mascot specifically for you. Countless hours are spent perfecting every detail so that your costume exceeds expectations. Before you get your character, the costume is tried on and inspected to make sure that it is perfect. 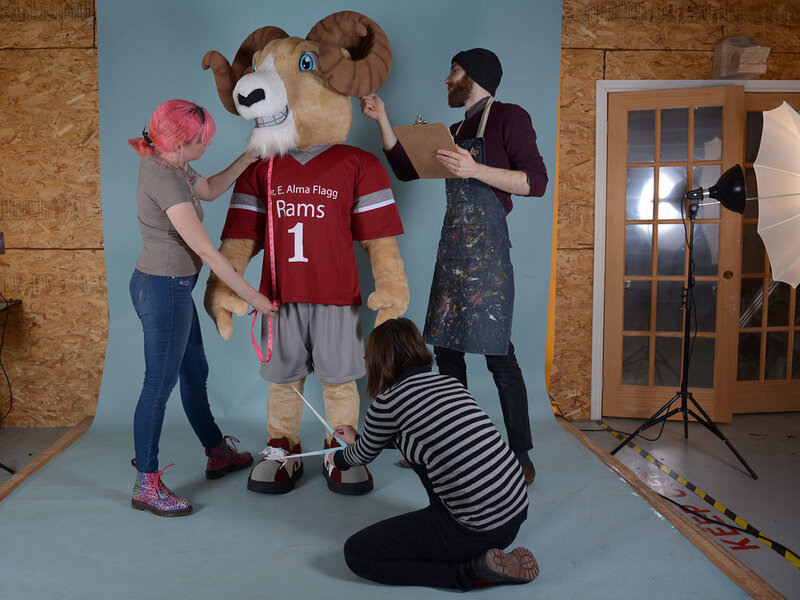 Any adjustments that need to be made are corrected to ensure that your mascot looks and performs to the world class standards we promise every client. Our mascots can be found all over the world. No matter where you are, we are able to get your character to you. We employ only the most efficient and reliable of shipping services available to ensure your mascot is delivered in a timely manner. Every mascot also comes with a complimentary storage bag. Receiving a Maydwell mascot is a joyful experience. Often our mascots exceed our clients' expectations. Our professional craftsmanship offers the durability required to give your character a full and active life. From community to corporate events, our mascots are sure to bring excitement and magic to any opportunity that may arise. Here at Maydwell, we are with you every step of the way. Have additional questions or concerns? Mascot needs cleaning or repairs? No Problem. Beyond making you an incredible custom mascot, we offer cleaning and repair services throughout your mascot's life. We pride ourselves in providing world class customer service to all of our clients.